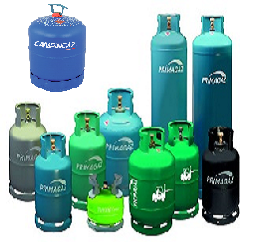 GAS IT Reserve and Emergency Gas Supply Systems - GAS IT Leisure Gas Bottles, Gas Cylincers and Gas Tanks - Catering, Motorhome, Campervan, Caravan, Farrier and Road Repair Refillable Gas Solutions. If your traveling abroad with any brand of refillable gas tank, gas bottles, or gas cylinders and you are concerned you might not be able to fill up whilst on your travels, then the GAS IT reserve gas hose and adaptor system will make sure you always have the ability to run your gas system from another gas source, like running from a small CampinGaz cylinder, spanish gas bottle or even a UK gas bottle. We are waiting for this item to at our warehouse. We currently estimate this item to be back in stock during the week of 10 Oct 2018. Delivery of this item would be after this date. We are waiting for this item to at our warehouse. We currently estimate this item to be back in stock during the week of 29 Sep 2017. Delivery of this item would be after this date.